The beautiful Valley of Flowers situated at an altitude ranging from 3500 meters to 4000 meters, is a national park of Indian state of Uttarakhand. The Valley of Flowers is known as a paradise for nature lovers. 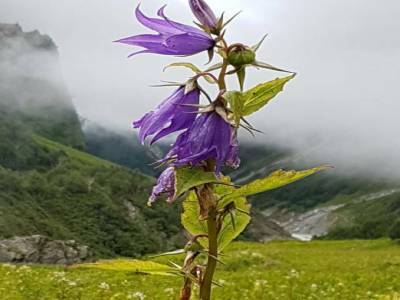 The Valley of Flowers is replete with a wide array of flower varieties, and boasts of the largest collection of wild flowers species, in the entire region. 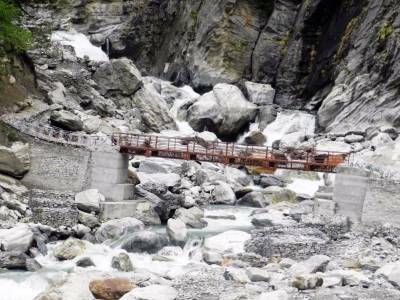 The valley of flowers starts a gorge over the “Pushpawati River”. Blooming with exotic flower varieties lasting from June, July till early September, the “Valley” has about 520 identified species of flowering plants (Numerous of species of flower plants still not identified). The area was declared as a National Park in 1982, and re-named The Valley of Flowers National Park. The Valley of Flowers National Park is declared as World Heritage site by UNESCO. 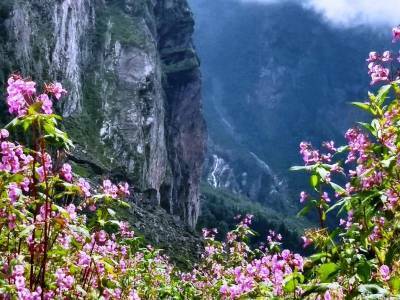 The Valley of Flowers National Park is an amazing beauty of nature with mountains that seem to be like glowing peaks that are fully covered with snow, and surrounded by astounding vegetation and various streams of crystal clear water. The Fauna such as the Himalayan black bear, Musk deer, Brown bear, Bharal and rich variety of birds and butter flies are found aplenty in the area. The Valley of Flowers National Park is a must visit place for all trekking lovers, flower lovers and nature lovers. 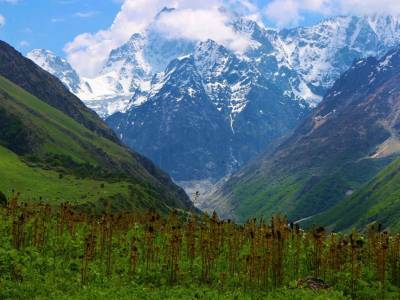 The Valley of Flowers can be reached after a moderate trek of approximately 5 kilometers from the village of Ghangaria. The Ghangaria is another 15 kms away from the Govindghat and is not accessible via road, visitors either needs to Trek, take Pithoos and ride on the horse to reach the Ghangaria; from Ghangaria the trekking is the only way to reach the Valley of Flowers National Park. Visitors must have to carry food and water as none is available in the valley and always carry rain coat, umbrella, water proof Jackets and winter clothes. 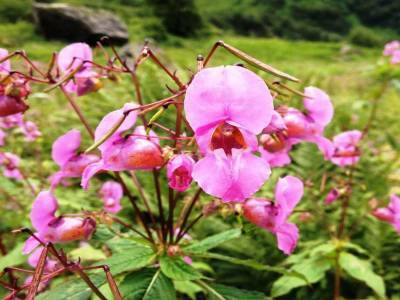 Get quick answers from travelers who visit to Valley of Flowers National Park.